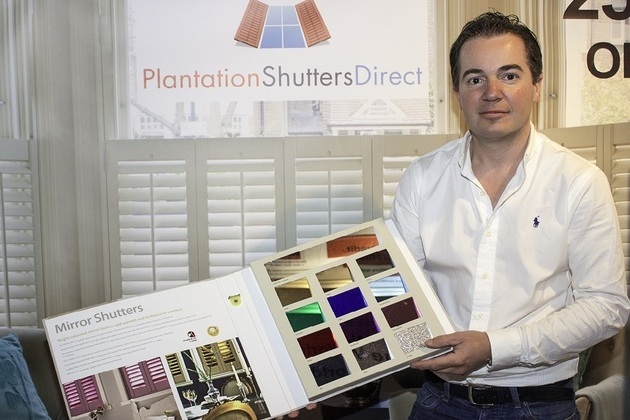 Cheshire-based company Plantation Shutters Direct has expanded its product range and confirmed its position as one of the UK’s leading window treatment specialist by launching a new express 14 day shutter manufacturing service. Plantation Shutters Direct has developed a UK-based manufacturing capability that will see the business supply plantation shutters within a 14-day time frame which meets the high-demand from customers up and down the country. The expansion will also ensure the company caters to the increase in orders from property developers and interior designers who are looking for quicker lead times. By reaffirming its position as the preferred supplier of plantation shutters, the company will guarantee continuity of its offering whilst also providing more time-efficient turnarounds. Matthew Basnett, sales manager at the company, comments: “We are in a fantastic position to be extending our product portfolio. It is vital that we meet the needs of our customers and so by offering them a timesaving solution, that remains high-quality, is great. Costs for the express range start from just £300 per window. Plantation Shutters Direct will continue to extend its complimentary home visits and design consultations to all express range clients. Established five years ago, Plantation Shutters Direct boasts an unrivalled reputation in providing made-to-measure shutters which come in a range of styles to suit all tastes and designs and all at superb prices to suit any budget. Plantation Shutters Direct operates nationwide and offers customers contemporary solutions to control natural light in their home. Each shutter produced by Plantation Shutters Direct is beautifully handcrafted to add a touch of elegance by using only the finest materials such as poplar, basswood and elm. For more information on Plantation Shutters Direct, visit: www.plantationshuttersdirect.co.uk or call 0845 164 5070.